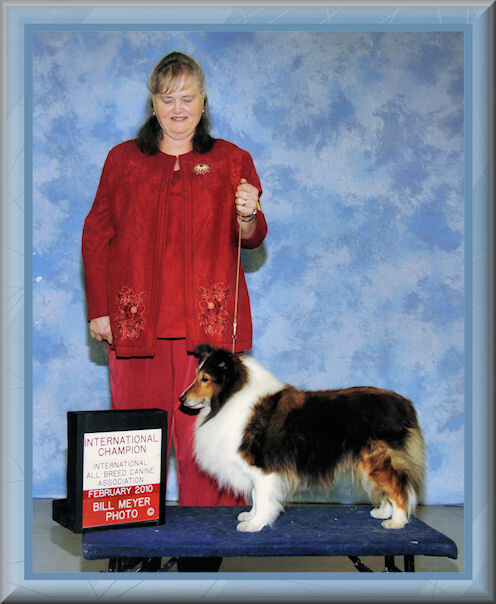 Miss Sally came out of retirement to win her UCI International Championship on Feb. 14, 2010 at 8 years young! Sally congratulates her beautiful Grandson Lance on the completion of his Am Championship.  He is now Am Ch. 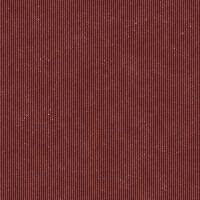 Conestoga Knight Errant. Lance is out of Sally's daughter Conestoga Goodtime Girl, "Cher". 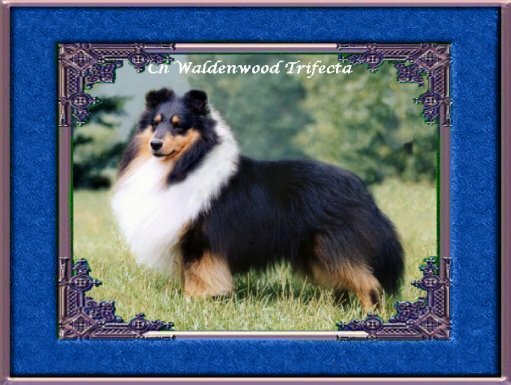 Cher is sired by Ch Waldenwood Trifecta. 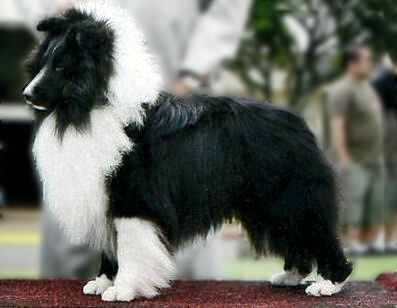 Lance's father is Am Ch Karosel-Sea Haven Moonraker. 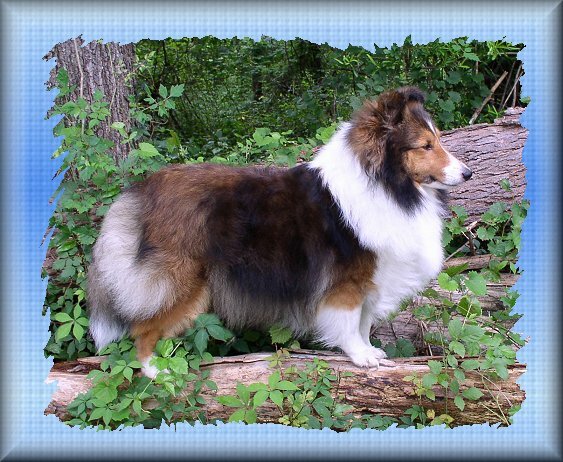 Lance was bred by Chery Mullen of Conestoga Shelties. Sally congratulates her beautiful Grandson Quinn on the completion of his Am Championship. He is now Am Ch. Conestoga-Summerwynn Mite Quinn. Quinn is out of Sally's daughter Conestoga Goodtime Girl, "Cher". 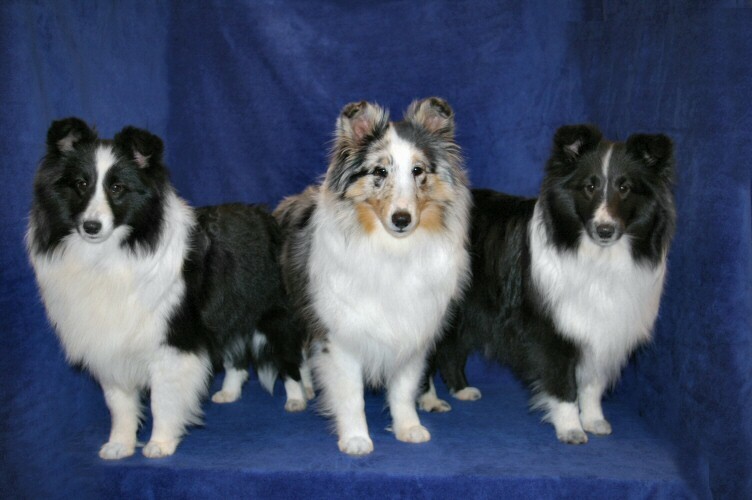 Cher is sired by Ch Waldenwood Trifecta. 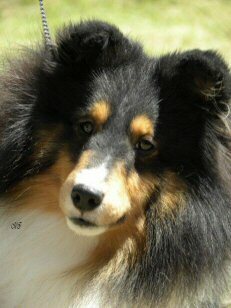 Quinn's father is Am Ch Apple Acres Sharp Shooter. 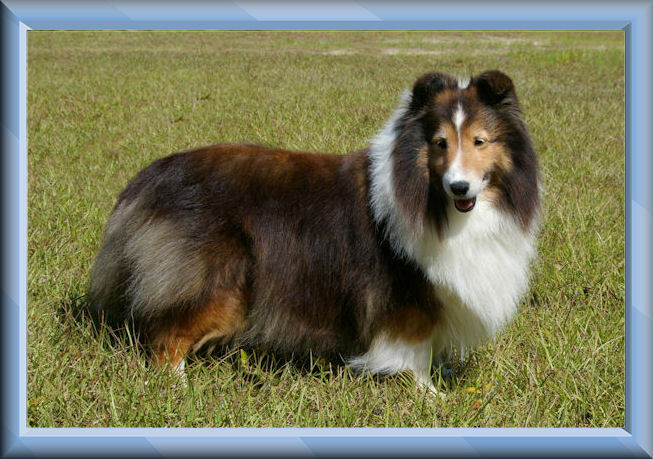 Quinn was bred by Chery Mullen of Conestoga Shelties. 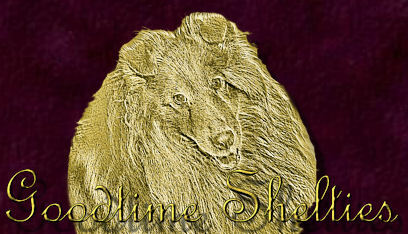 Sally congratulates her beautiful Grandson Paladin, Am Ch. Conestoga Dark Knight on his 4th major which finished his championship. Paladin is out of Sally's daughter Conestoga Goodtime Girl, "Cher". 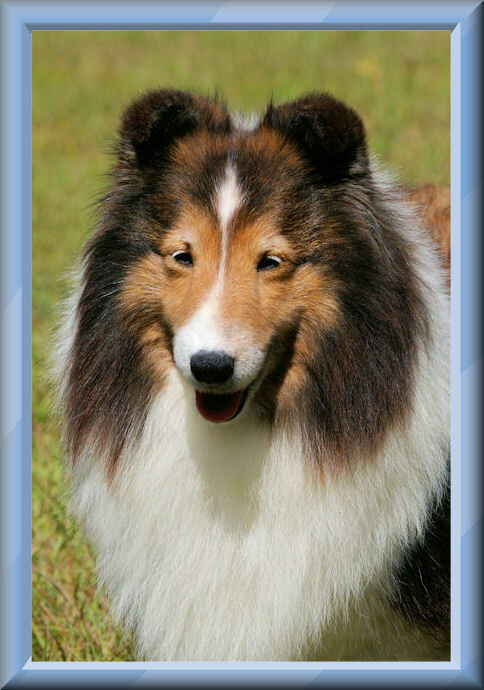 Cher is sired by Ch Waldenwood Trifecta. 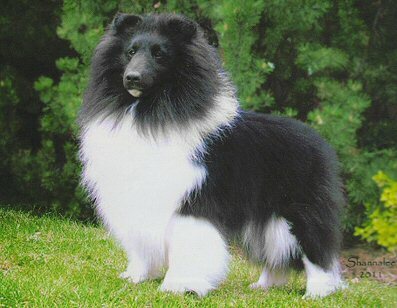 Paladin's father is NBISS/BIS Am Ch Sea Haven Chasing Moonbeams ROM CC. 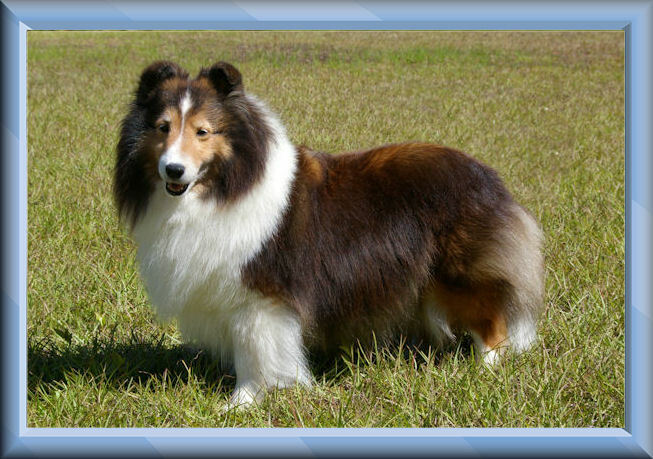 Paladin was bred by Chery Mullen of Conestoga Shelties and owner by Carol Corrin of Gyp-Sea Shelties. 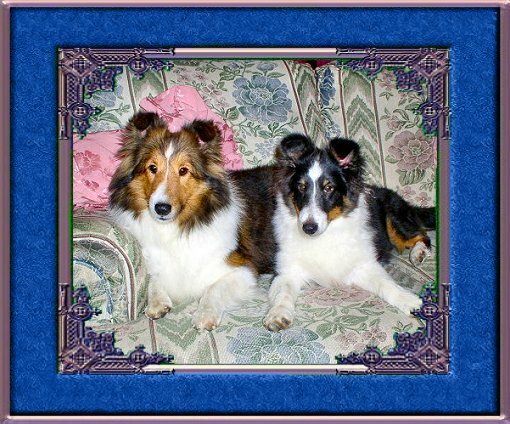 This adorable little girl is pictured at 9 weeks, top, and the one above taken on 6/28/05 at 3 1/2 years. Sally and her wonderful husband, Ch Waldenwood Trifecta are the proud parents of 4 babies born 1/22/04. 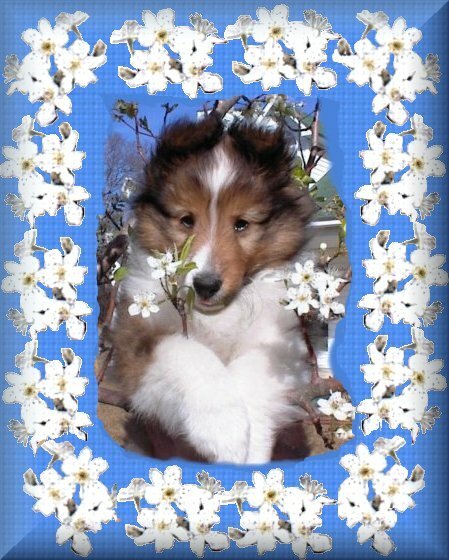 Please visit the puppy page and go down to the menu at the bottom to see the their pups! While you are there, take a look at the birthday. 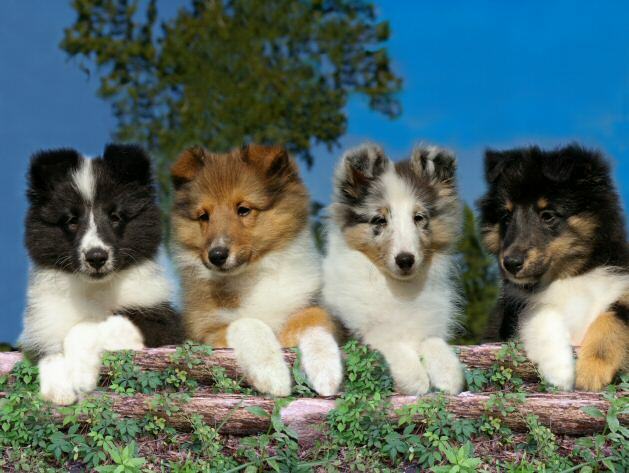 A repeat of the Lucky and Sally puppies made their debut on 10/20/04. We have 4 tris...1 boy & 3 girls and 2 sables...1boy & 1 girl. If these pups turn out as nice as the last ones, they should be lovely! Clear for vWD by parentage. 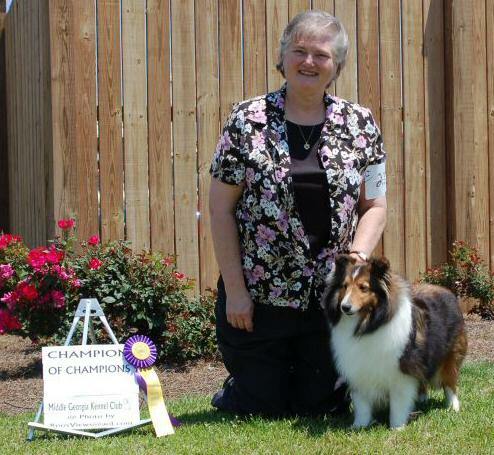 Sally finished her UKC championship at the Middle Georgia Kennel Club 5/1/04 under judge Katherine Short and her Grand championship on 2/16/08 and her Grand Championship on 2/17/08. 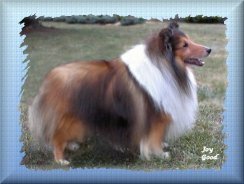 Becca took Best of Winners at show 2 on 5/17 and Best Of Winners at show 1 on 5/18 in Randolph Ohio at the Carnation City Kennel Club UKC Show. 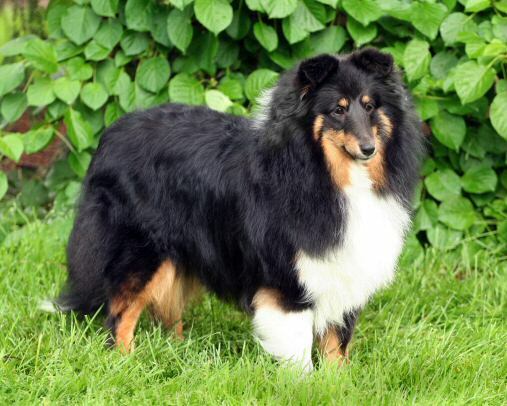 She now only needs one Competition win to complete her UKC Championship. 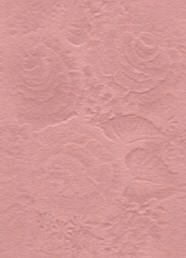 Becca is now UCH Goodtime Tribecca Brightens' Bliss! She completed her title in Randolph, Ohio! Becca is the second girl from her litter to finish her UCH from puppy class. 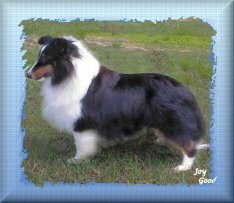 Below are pictures of our 7/30/07 rainbow litter by Ch Shadow Hill's Double Eagle ex GRCH Mistymt Goodtime Celebration..
Below are the 4 girls, Dancer, Coco (now Penny), Dazzle, and Becca at 1 year.